The Gippsland Lakes is a group of coastal lagoons and marsh environments that are separated from the sea by a barrier system of sand dunes and fringed on the seaward side by the Ninety Mile Beach. The main lagoons/lakes are fed by river systems in a catchment of approximately 20,000 square kilometres or 10 per cent of Victoria’s land area and are connected to Bass Strait via a permanent entrance. The Lakes and surrounding wetlands cover an area of approximately 600 square kilometres, the largest navigable network of inland waterways in Australia. They contain internationally significant wetlands and support a diverse range of flora and fauna. The Gippsland Lakes is one of Victoria’s major environmental resources, an important tourism destination and home to people with a strong historical and cultural connection to the Lakes. The Lakes are home to Victoria’s largest fishing fleet, they support tourism businesses and coastal settlements that provide lifestyle and visitor experiences including boating, recreational fishing, water sports and nature-based activities. The Gippsland Lakes Ramsar site is one of 64 wetland areas in Australia, listed as a Wetland of International Importance under the Convention on Wetlands of International Importance (Ramsar Convention). The Lakes were listed in 1982 in recognition of the outstanding coastal wetland values and features. They support many ecosystem services/benefits including nationally and internationally threatened wetland species, waterbird breeding and fish spawning sites. Algae, fish, birds, dolphins, humans – we all rely on water quality. 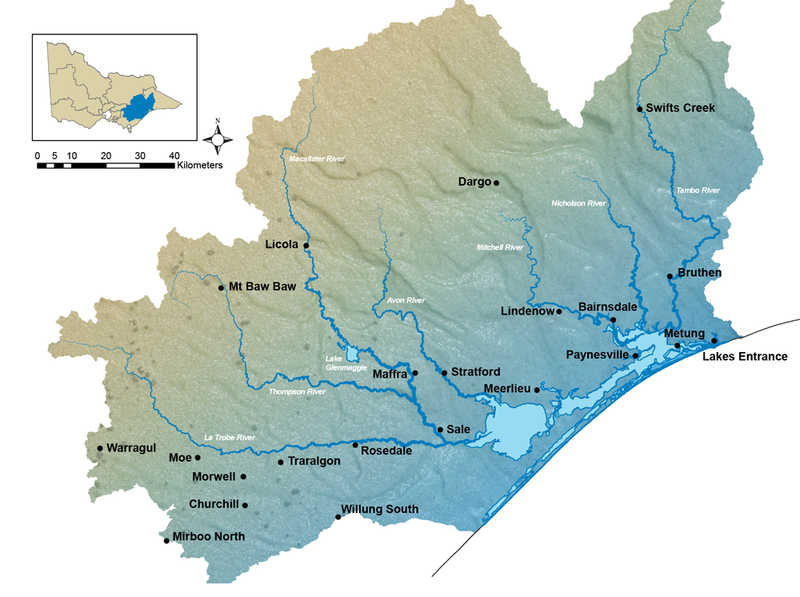 Here is some interesting information about the water in the Gippsland Lakes. EPA currently undertakes monitoring in three of Victoria’s major embayments: Port Phillip Bay, Western Port and the Gippsland Lakes. Monitoring is undertaken at 16 sites on a monthly basis for nutrient and algae levels, oxygen conditions and water clarity, which can have a negative effect on marine systems.